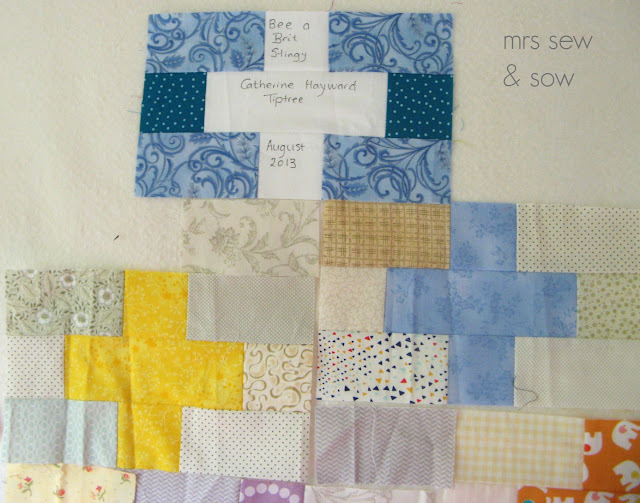 mrs sew & sow: FQR - the bee blocks I received! Wow! You pick the best bee blocks Nicky! It was brilliant to finally meet you Nicky. I definitely think we need to have a down South meet up soon! I'm sorry your back was troubling you. We didn't really meet properly. It was all a bit frantic for me at times. Oh I love your bee blocks. they look fantastic. By all the photos on instagram it looked like you all had a great time on the weekend. Have your blocks done....believe it or not! Your quilt will be fantastic Nicky! Glad you had a great time! Ooh lots of lovely new projects!! 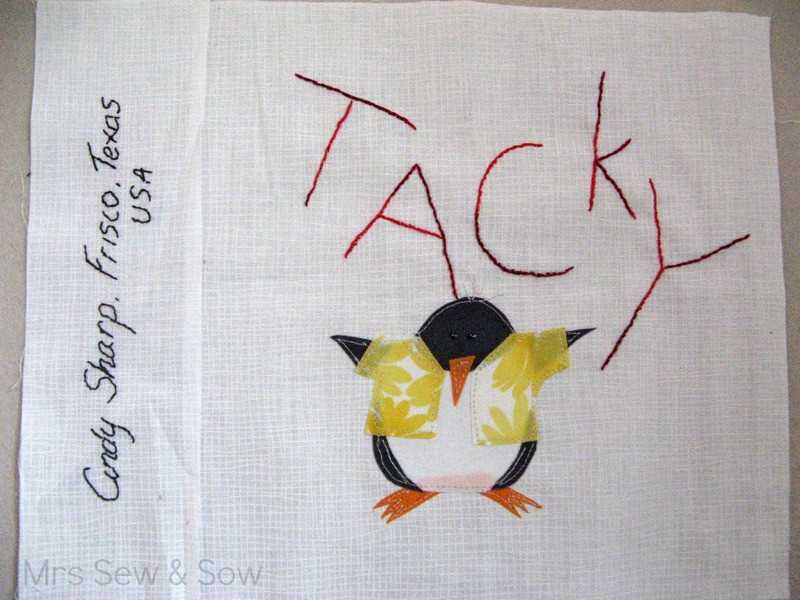 You are going to have some amazing quilts. So pleased I am a small part of one of them. Must, must, must meet in London in September so we can get some proper chatting time in. It was great to see you in London. I love all your bee blocks and will get the one I forgot to bring you in the mail tomorrow. 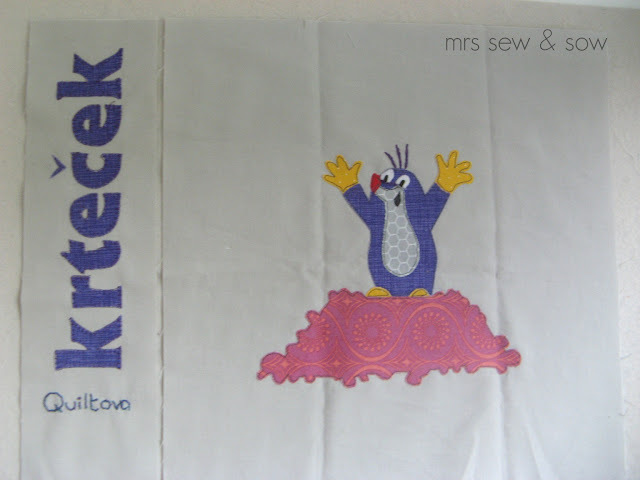 Those Bee blocks are gorgeous - can't wait to see the finished article! 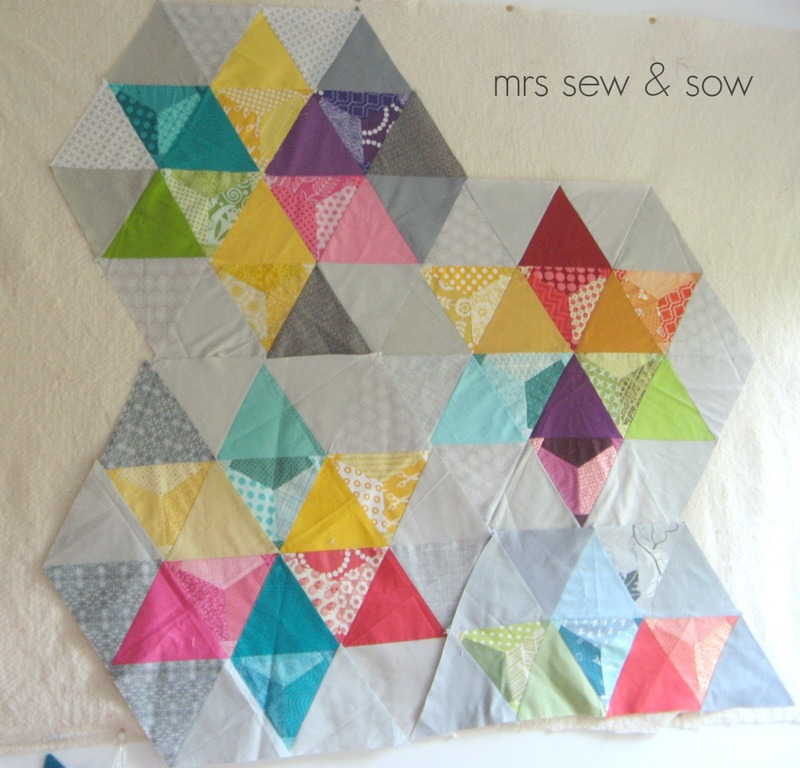 Also I am going to blame your beautiful modern Dresdens Oakshott quilt for leading me astray at Quilt Market .... I am a total Oakshott addict now! It was so great to meet you...but they should add another day to the weekend just for talking and sharing. I didn't get to talk to everyone like i would have liked to. You were showing decorum? Really? ;o) I got all mine at different random times, and ended up just shoving them in bags, I really should let them get out more!